Science Talks is an educational webinar series for journalists presented by Wiley in partnership with the World Federation of Science Journalists (WFSJ) and theAssociation of Health Care Journalists (AHCJ). These complimentary, one-hour sessions are hosted by The Wiley Network to provide journalists with on-going training in science topics of particular global importance. Register for Science Talks here! If you are not able to attend the live one-hour session the webinars will be recorded for later viewing on demand. Eng. Felix Reinders, President of the International Commission on Irrigation and Drainage,is a Professional Engineer, registered with the Engineering Council of South Africa. He completed his Engineering studies in 1979 at the University of Pretoria in South Africa. 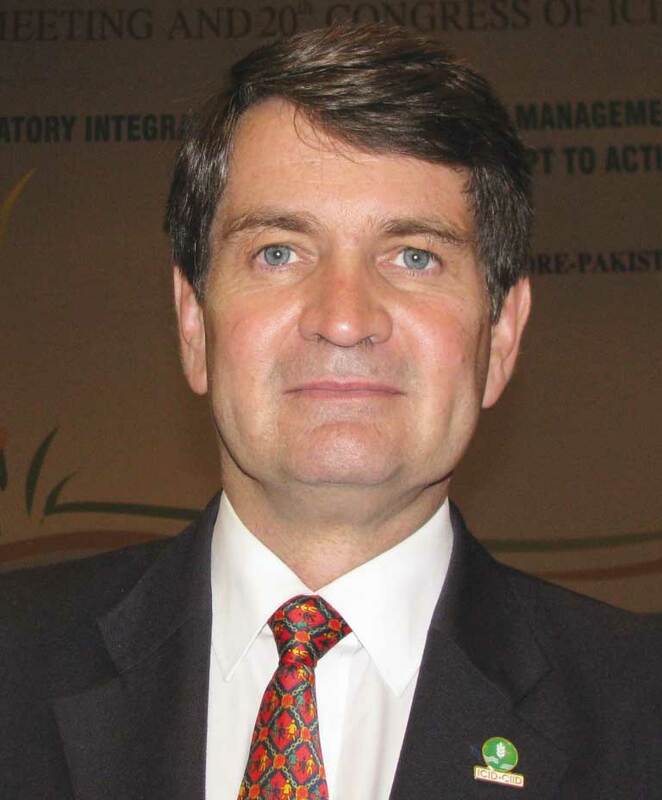 He is the President of the International Commission on Irrigation and Drainage, and is a previous President of the South African Institute of Agricultural Engineers and the South African Irrigation Institute. He manages Irrigation and Drainage Engineering at the Agricultural Research Council’s Agricultural Engineering division, where he plays a pivotal role in the coordination of irrigation engineering research, development, testing, design and training. With his experience in the irrigation field and as former Chairperson of the South African National Committee on Irrigation and Drainage, he has the opportunity to represent South Africa on International committees and interact with international counterparts on irrigation matters. Wiley believes the most successful individuals never stop learning. The Wiley Network draws on trusted Wiley authors, partners, and subject matter experts as well as professional leaders to share their knowledge and experiences to support learning and professional growth. Explore contributions from industry thought-leaders—from those with years of experience to those just starting out. Take advantage of white papers, infographics, interviews, opinion pieces, industry updates, videos, and more to help you stay ahead of the changing world. Customize your experience on The Wiley Network site by selecting your favorite subjects and interests. Wiley is a global leader in research and education. Our online scientific, technical, medical, and scholarly journals, and our digital learning, assessment, certification and student-lifecycle services and solutions help universities, academic societies, businesses, governments and individuals to achieve their academic and professional goals. For more than 200 years, we have delivered consistent performance to our stakeholders. The Company's website can be accessed atwww.wiley.com.